PALO ALTO, Calif., January 24, 2019 – ScaleGrid, a rising leader in the Database-as-a-Service (DBaaS) space, has just announced support for Redis Clusters on their fully managed Redis hosting plans. Redis Cluster is the native sharding implementation available within Redis, an open-source in-memory data structure project, that allows you to automatically shard across multiple Redis nodes without having to rely on external tools and utilities. ScaleGrid is no novice when it comes to deploying and managing complex, sharded clusters in the cloud, as they have provided one of the most powerful sharding tools for their MongoDB hosting solutions since 2013. 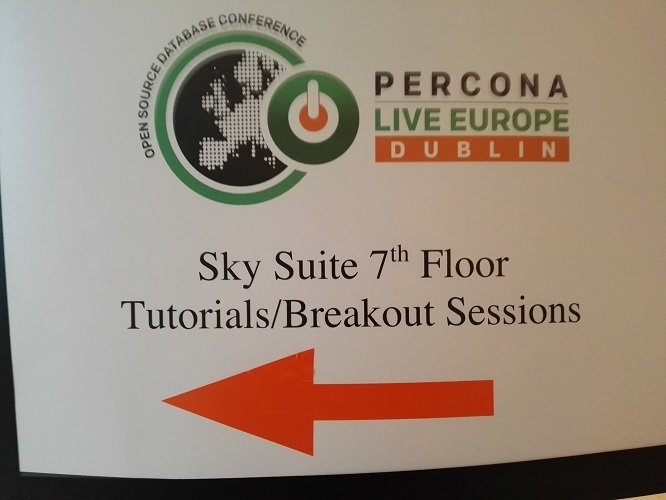 Welcome to the first day of the Percona Live Open Source Database Conference Europe 2017: Tutorials day! Technically the first day of the conference, this day focused on provided hands-on tutorials for people interested in learning directly how to use open source tools and technologies. Today attendees went to training sessions taught by open source database experts and got first-hand experience configuring, working with, and experimenting with various open source technologies and software. The first full day (which includes opening keynote speakers and breakout sessions) starts Tuesday 9/26 at 9:15 am. I hope you liked the first part of this series of lessons. And I really hope that you have followed the instructions and got your little replication cluster up and working. If you haven't done that, thinking that you would spare your energies for more juicy matters, I have news for you. What I explained in the previous part is exactly what you need to do to set up parallel replication. With just a tiny additional detail. For the sake of the diligent readers who have followed the instructions with the first lessons, I won't repeat them, but I'll invite you to set the environment as explained in the first part. Why you don’t want to shard. Note: This blog post is part 1 of 4 on building our training workshop. The Percona training workshop will not cover sharding. If you follow our blog, you'll notice we don't talk much about the subject; in some cases it makes sense, but in many we've seen that it causes architectures to be prematurely complicated. So let me state it: You don't want to shard.